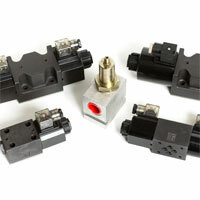 Direct Limited provides a one stop solution for all your hydraulic requirements. The company has forged strong relationships with premium world-wide suppliers and can therefore offer an extensive range of technically advanced quality and affordable products. As a company we endeavour to utilise our full potential offering a service second to none with its comprehensive re-manufacturing program combined with a worldwide track a part system. Also growing up in the industry with its formal training keeps Direct Limited at the forefront of hydraulic excellence, which has ensured our full penetration in an ever-increasing market sector. Direct Limited has the technology and skills not only to supply, but also to provide new solutions for old recurring problems with the use of our technically advanced equipment and team. We aspire to offer and to continue to offer a reliable, prestigious and friendly service reducing downtime with a fast and efficient supply solution for your hydraulic needs. Follow this link to view all Direct Ltd products.